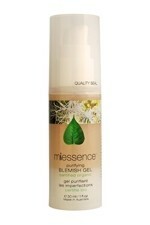 Miessence Purifying Skin Essentials Pack is designed for oily or problem skin types. This pack contains the three main products you need to start your organic purifying beauty routine including 250ml of Miessence purifying cleanser, 80ml Miessence purifying hydrating serum and 50ml Miessence purifying moisturiser. 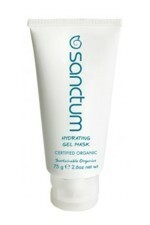 With this one pack you are well on your way to having skin that radiates health and well being. 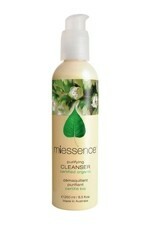 Miessence Purifying Cleanser is for oily or problem skin types. A Purifying Certified Organic Cleanser with fresh organic lemon peel oil, witch hazel and burdock that leaves the skin feeling soft, clean and fresh, without feeling stripped or dry. Why Use it? 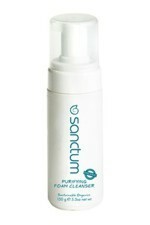 Cleansing removes the top layer of dead cells, oil, perspiration and pollution. If your skin is not cleansed properly it becomes dull and flaky and the oil glands block up with dirt and cellular waste, causing breakouts and congestion. 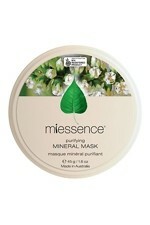 How to Use it: Twice daily, gently press the face with a warm, soft cloth to soften and prepare the skin for cleansing. Massage one or two pumps of cleanser into your face and neck. Remove with a damp cloth and plenty of water. If wearing make-up, a second cleanse is often necessary. Ingredients: Organic aloe barbadensis (aloe vera) leaf juice, organic helianthus annuus (sunflower) seed oil, yucca schidigera extract, sclerotium rolfsii gum, leuconostoc/radish root ferment filtrate, sambus nigra (elderberry) fruit extract, organic citrus limonum (lemon) essential oil, organic mentha piperita (peppermint) essential oil, organic arctium lappa (burdock) extract, organic echinacea purpurea flower extract, organic urtica dioica (nettle) extract, organic plantago major (plantain) extract, organic hamamelis virginiana (witch hazel) leaf extract, limonene is a naturally occurring component of the organic essential oils in this product. 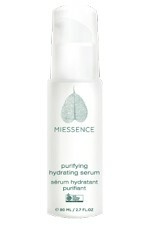 Miessence Purifying Hydrating Serum (80ml) is for oily or problem skin types. It is a balancing infusion with organic echinacea, witch hazel, burdock and plantain and vitamins to help tighten and tone the skin. 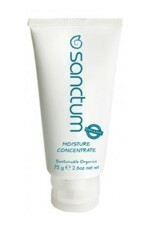 This Certified Organic skin conditioner helps to clarify and purify the complexion. Why Use it? 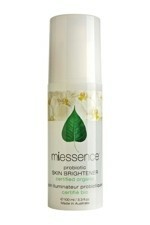 Conditioning is a vital step in the Miessence skincare regime! Conditioning has a twofold purpose: firstly, to feed the skin with nutrients in the water-soluble botanicals, organic herbs, vitamins and essential oils, and secondly, to provide a hydration base for the moisturiser to lock in. How to Use it: Twice daily on clean moist skin, massage 2 to 3 pumps of conditioner gently onto face, throat and décolleté. Ingredients: Organic aloe barbadensis (aloe vera) leaf juice, leuconostoc/ radish root ferment filtrate, sambus nigra (elderberry) fruit extract, aqua (purified water), organic arctium lappa (burdock) extract, organic plantago major (plantain) extract, organic hamamelis virginiana (witch hazel) extract, organic echinacea purpurea extract, organic urtica dioica (nettle) extract, sclerotium rolfsii gum, santalum album (sandalwood) essential oil, organic lavandula angustifolia (lavender) essential oil, organic simmondsia chinensis (jojoba) seed oil, organic melaleuca alternifolia (tea tree) essential oil, organic backhousia citriadora (lemon myrtle) essential oil, organic melaleuca alternifolia (tea tree) essential oil, organic calendula officinalis (marigold) flower C02 extract. Linalool, limonene and citral are naturally occurring components of the organic essential oils in this product. 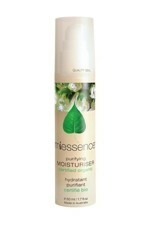 Miessence Purifying Moisturiser (50ml) is a light lotion for all oily or problem skin types. 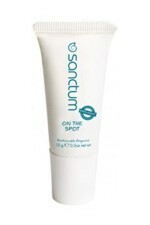 It contians organic extracts chosen for their ability to assist inflamed complexions. Plant phospholipids help hydrate the skin without clogging the pores or over-moisturising, whilst organic echinacea, plantain, calendula, witch hazel, tea tree and lemon myrtle help to purify and tonify. Why Use it? 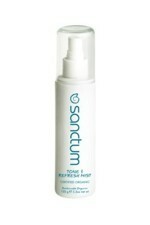 This step creates a protective barrier against free radicals and moisture loss (one of the main causes of wrinkles). 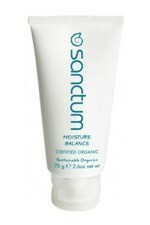 The special ingredients in our unique organic base have lasting effects on skin hydration and smoothness. How to Use it: Twice daily (am/pm) after conditioning (and treatment, if required). Apply one to two pumps of your moisturiser to the palm of your hand then pat and press gently onto your face, throat and décolleté. Ingredients: Organic aloe barbadensis (aloe vera) leaf juice, organic simmondsia chinensis (jojoba) seed oil, organic butyrospermum parkii (shea) fruit butter, organic ethanol (sugar-cane), leuconostoc/radish root ferment filtrate, non-gmo lecithin, sclerotium rolfsii gum, sambus nigra (elderberry) fruit extract, olea europaea (olive) leaf extract, santalum album (sandalwood) essential oil, organic lavandula angustifolia (lavender) essential oil, organic rosmarinus officinalis (rosemary) leaf CO2 extract, organic melaleuca alternifolia (tea tree) essential oil, organic olea europaea (olive) juice extract, non-gmo xanthan gum, organic backhousia citriadora (lemon myrtle) essential oil, organic calendula officinalis (marigold) CO2 extract, organic arctium lappa (burdock) extract, organic plantago major (plantain) extract, organic hamamelis virginiana (witch hazel) extract, organic echinacea purpurea flower extract, organic urtica dioica (nettle) extract. 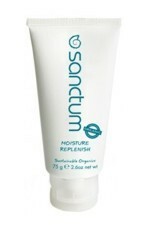 Citral, linalool and limonene are naturally occurring components of the organic essential oils in this product.